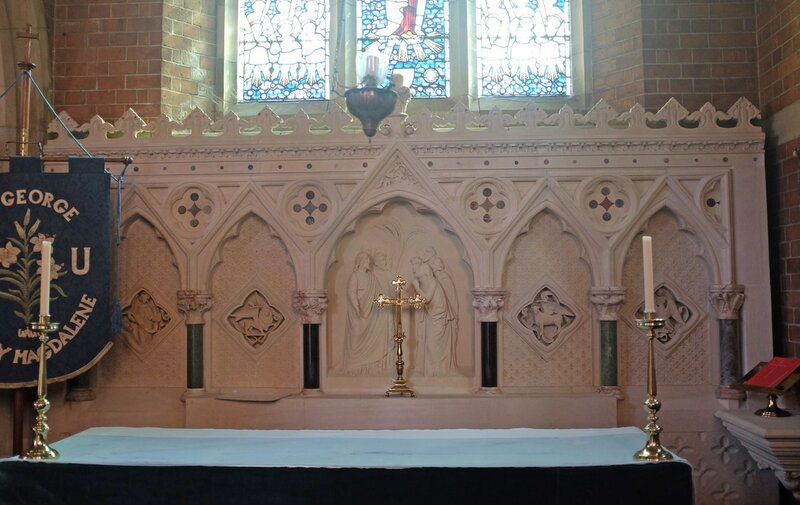 This church, which has been closed for several weeks during internal alterations, was built and consecrated in 1830. 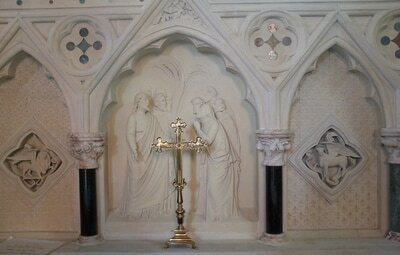 The walls and ceiling have been coloured; and the incumbent, the Rev. 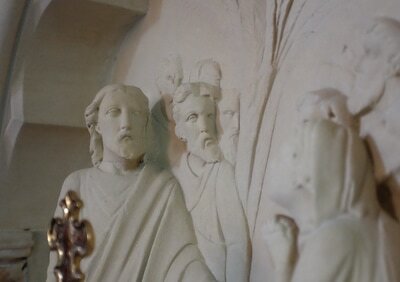 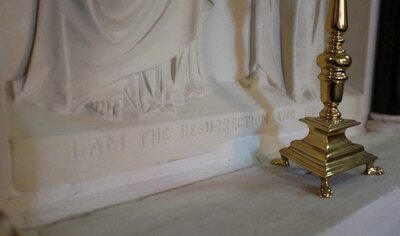 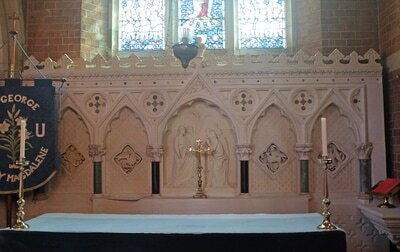 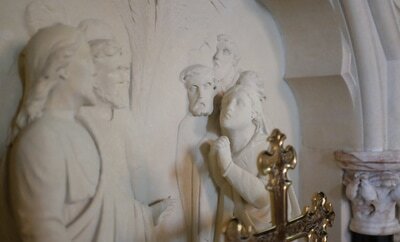 B. Davis, has presented a handsome new reredos, carved by Mr. Forsyth. 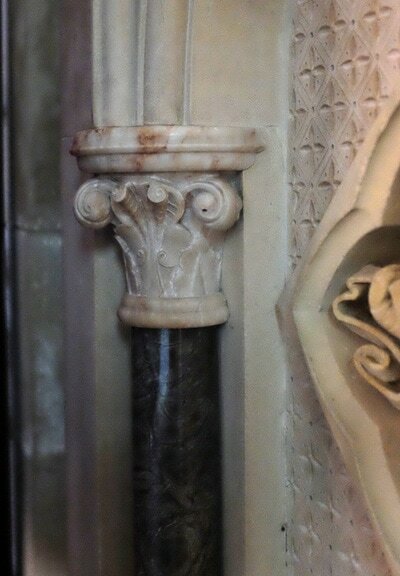 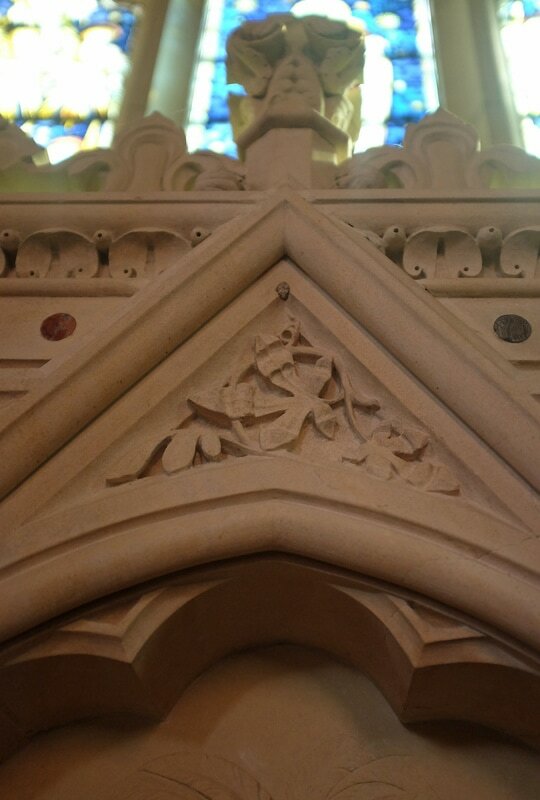 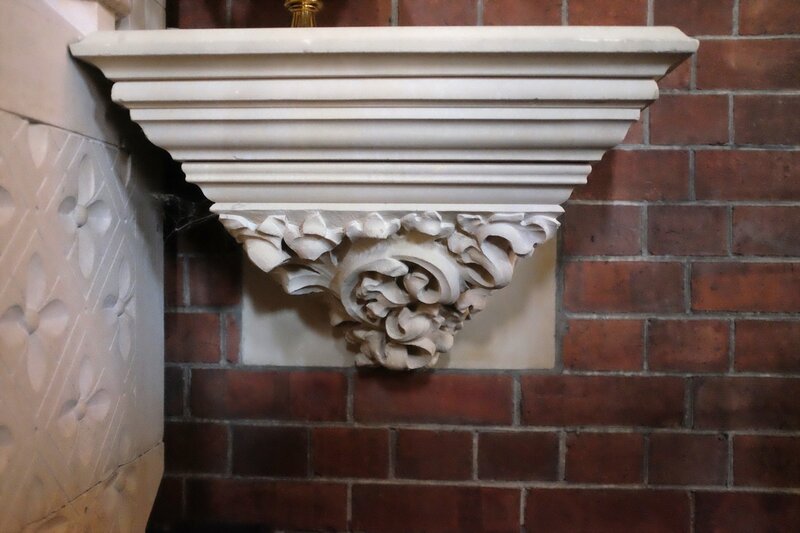 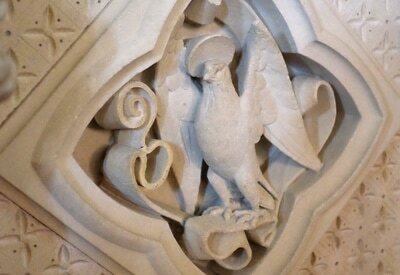 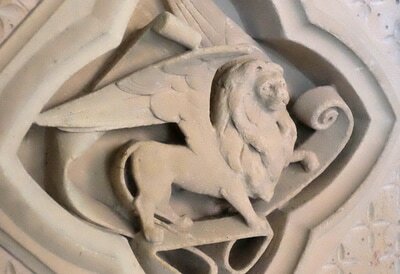 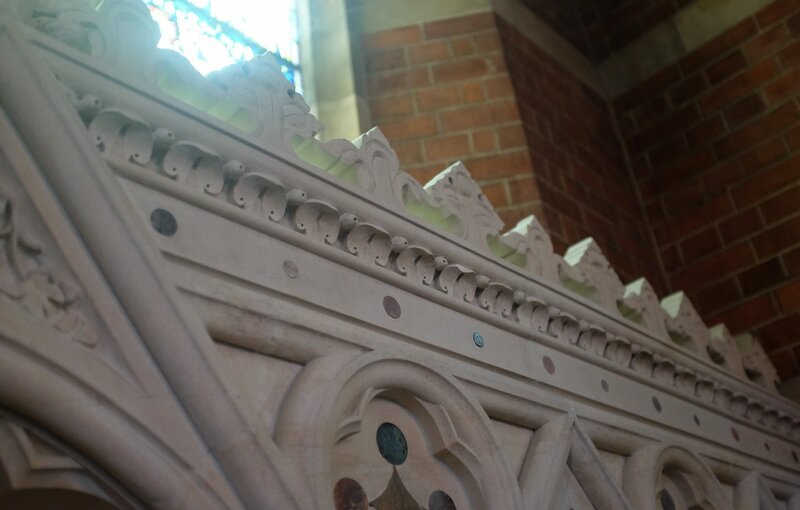 The materials of this are stone and marble, arcade work, with a neat cornice of sculptured foliage. 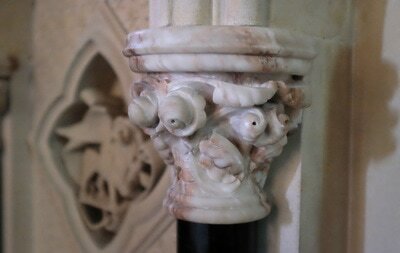 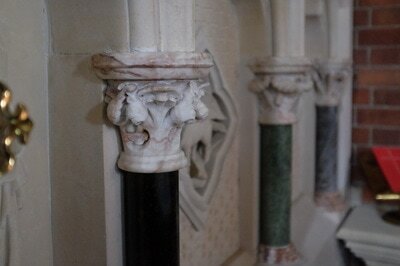 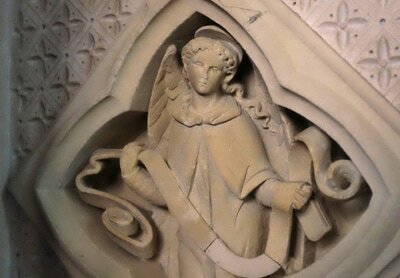 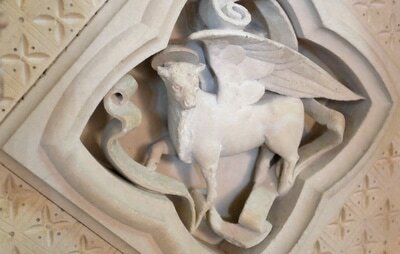 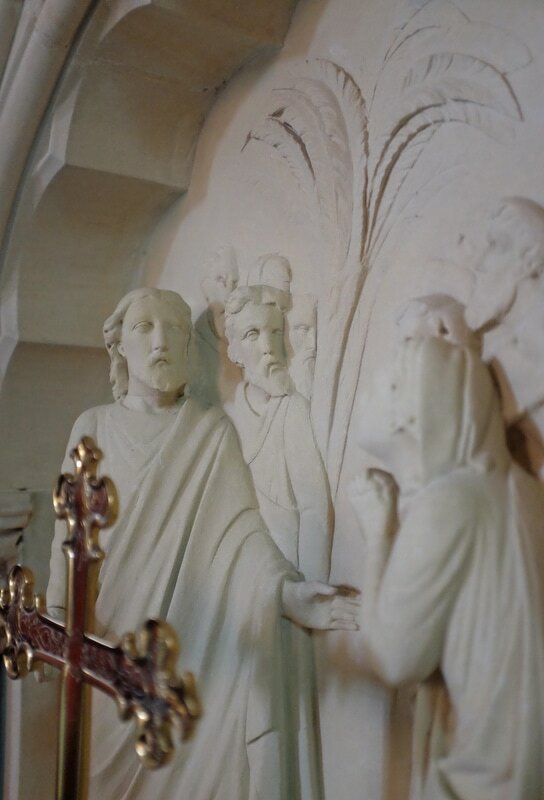 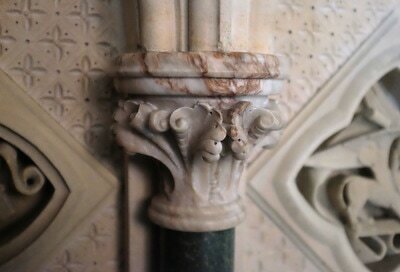 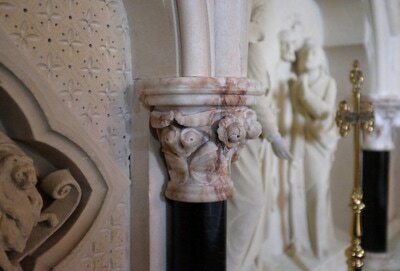 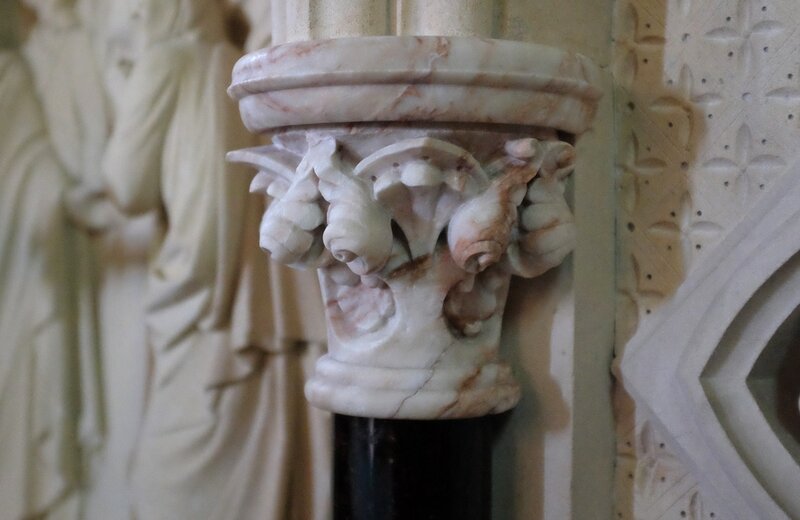 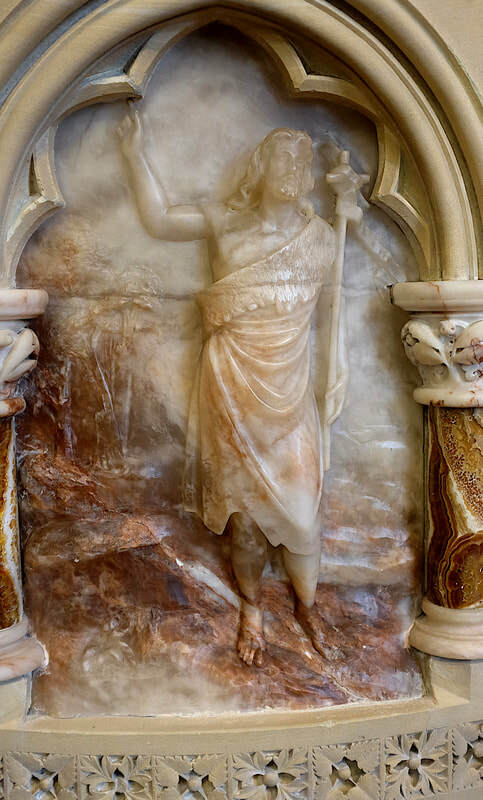 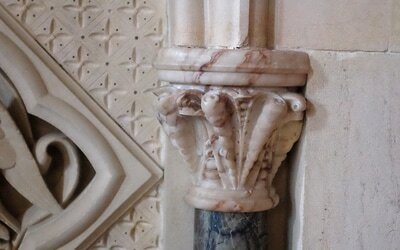 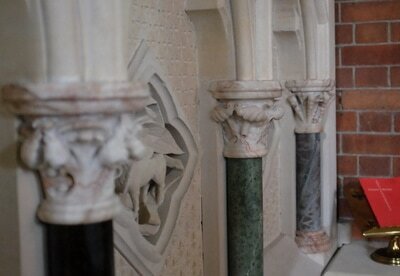 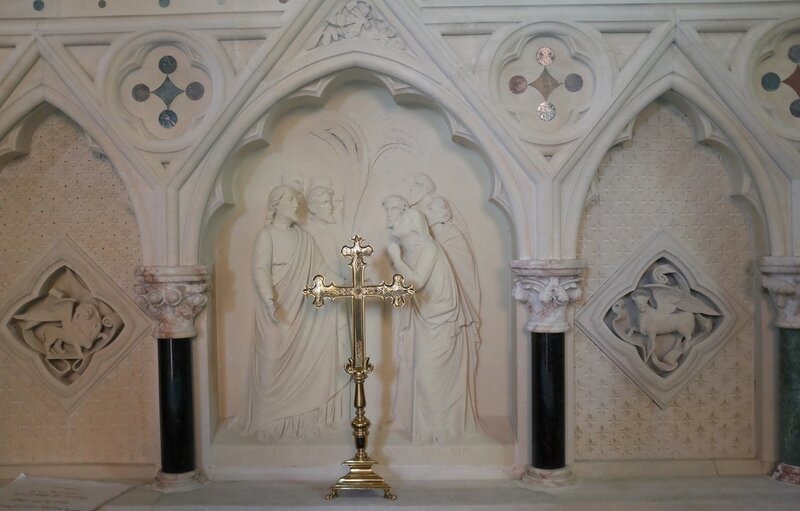 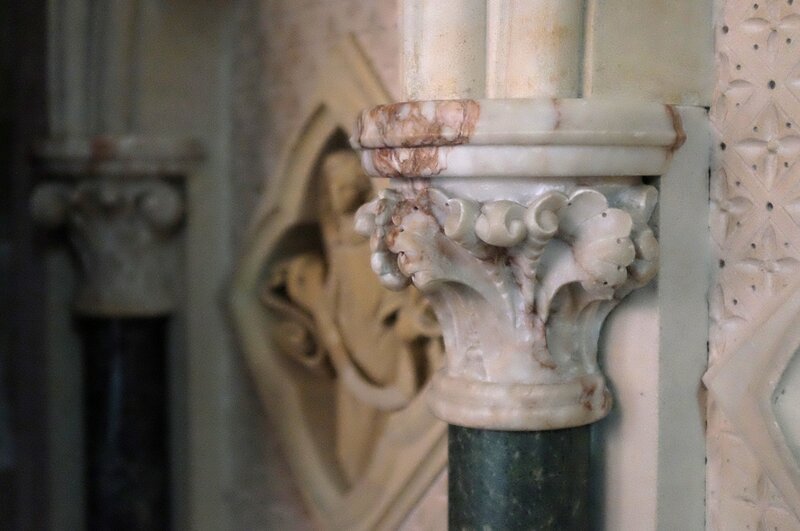 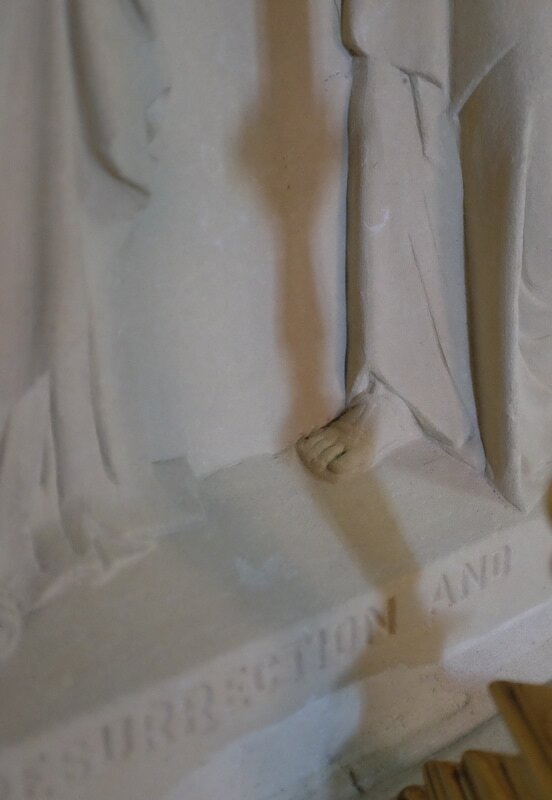 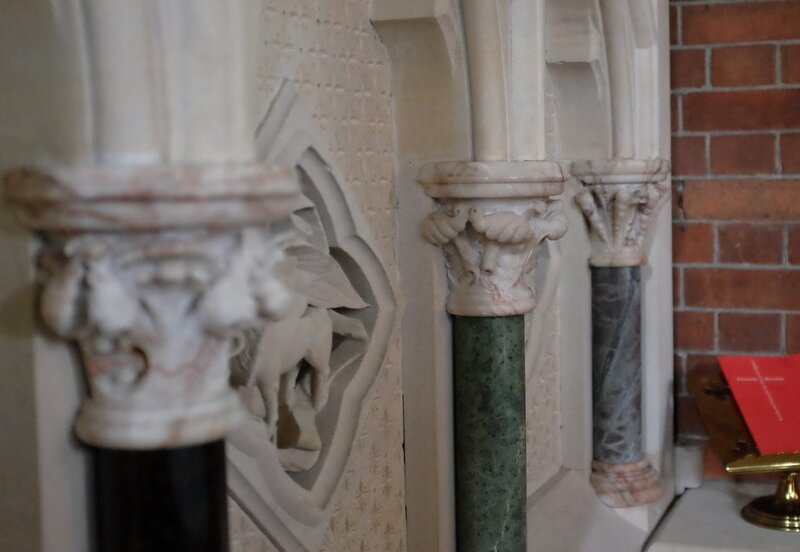 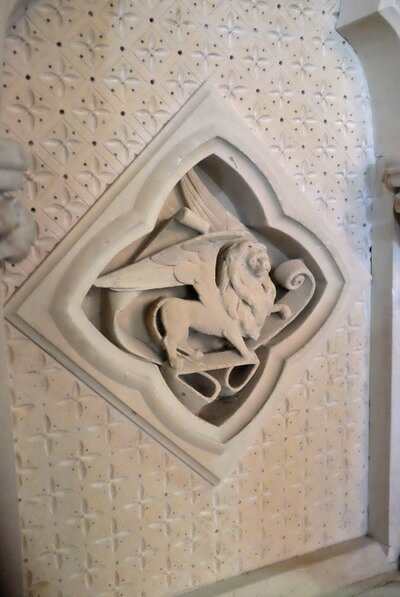 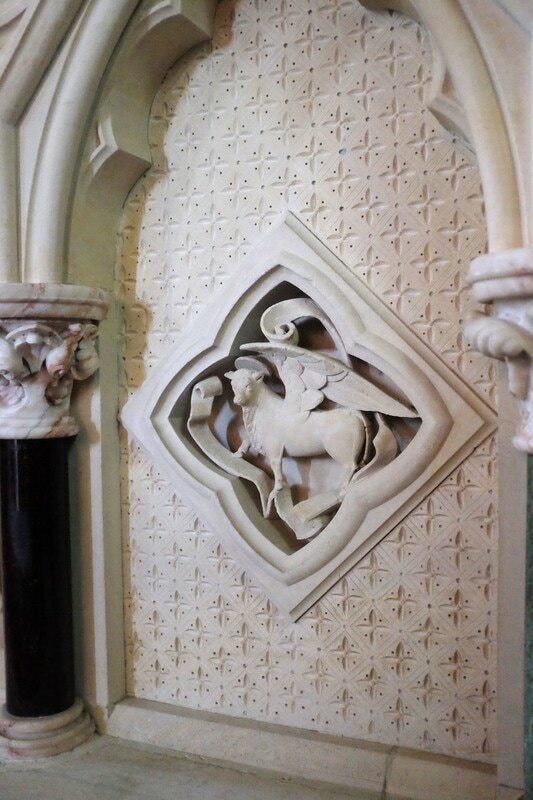 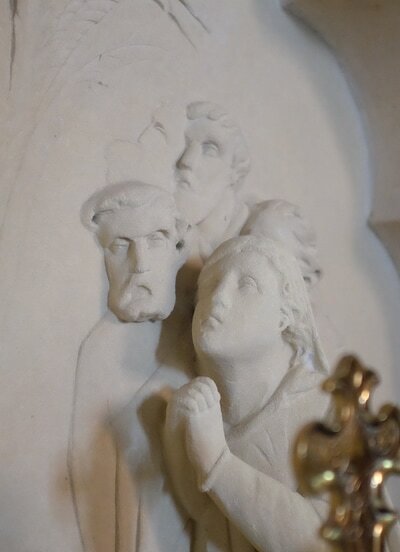 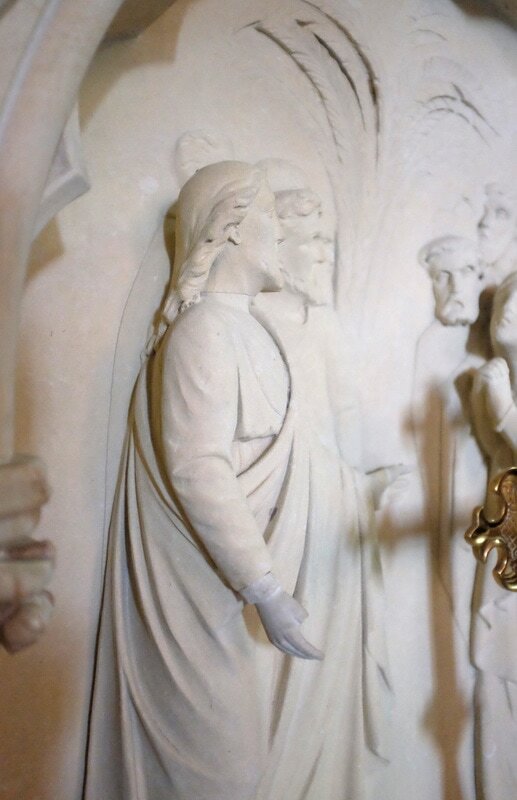 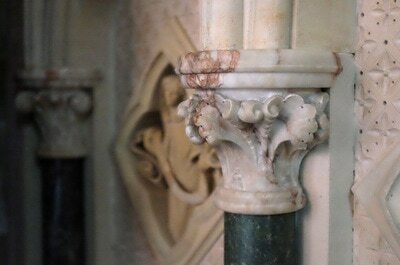 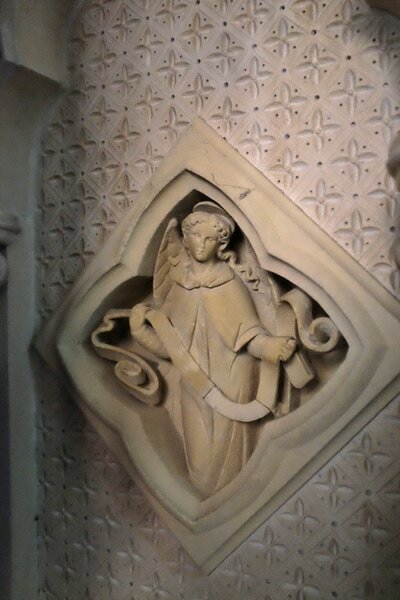 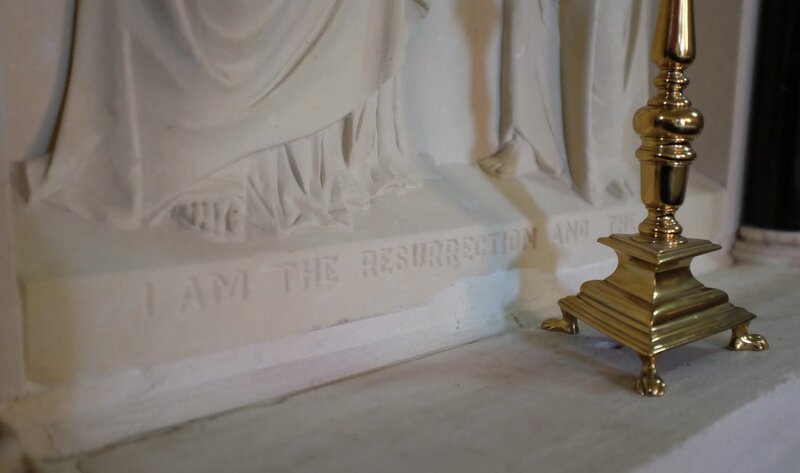 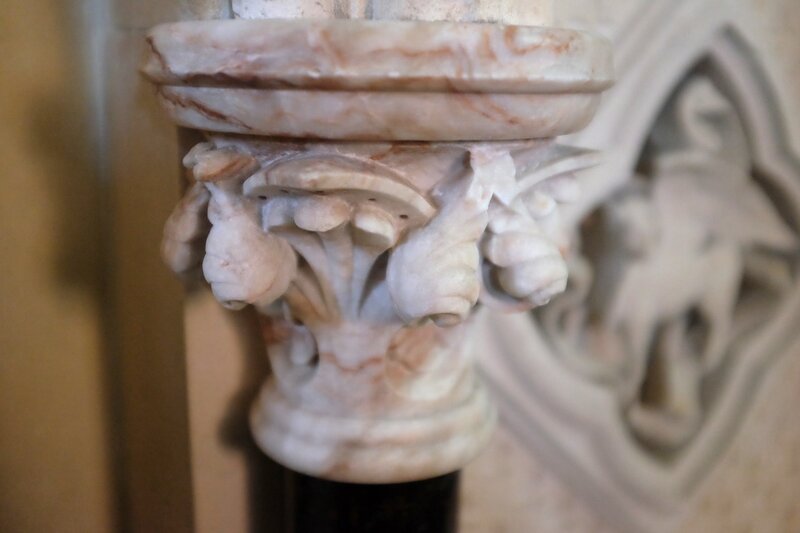 The arcades, which are supported by shafts of Purbeck marble, are enriched with diaper work and the emblems of the Evangelists, while in the centre, in high relief, is a group, of which Jesus and Martha are the principal figures.